Brandy House Cottages01547 510 282work Self-cateringIn its idyllic rural setting nestled into the hills above the village of Felindre, The Brandy House, once a traditional hill farm, now a small-holding is the perfect place for a peaceful and relaxing break. Delightful bridle and footpaths lead from the doorstep up on to wonderful open hills where there are endless opportunities for walking, cycling and riding. We offer you quality accommodation in our cottages, beautifully converted from a traditional stone barn, which have their own secluded garden including patio and a charming terraced area. Tastefully decorated and furnished, the interiors are enriched with many exposed stone walls and traditionally made oak 'ledge and brace' doors. In its idyllic rural setting nestled into the hills above the village of Felindre, The Brandy House, once a traditional hill farm, now a small-holding is the perfect place for a peaceful and relaxing break. Delightful bridle and footpaths lead from the doorstep up on to wonderful open hills where there are endless opportunities for walking, cycling and riding. Each is self-contained, has oil fired central heating and double glazing throughout. 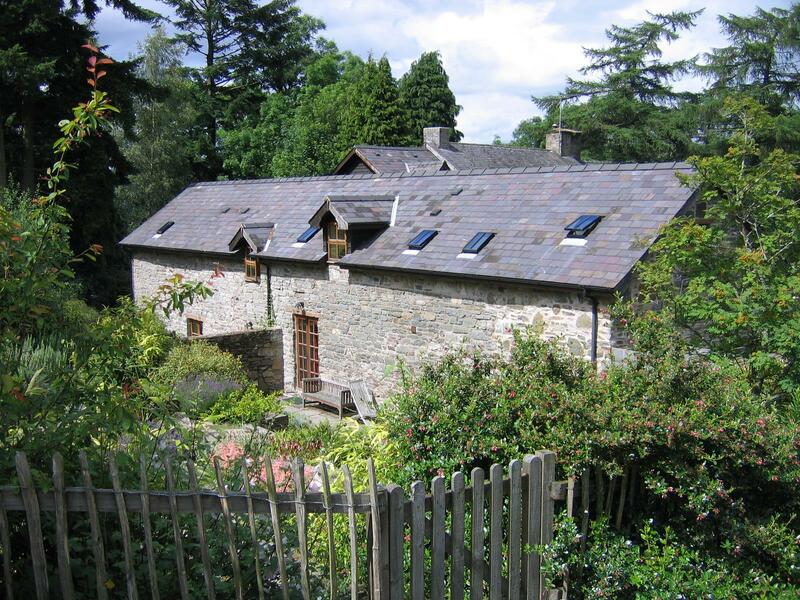 Barn end , graded for B&B has 3 bedrooms and the Tractor Shed 2 with spa bath. We have a drying room for anyone arriving (or aquiring) wet kit and washdown facilities for cyclists. Stabling and grazing for guests' own horses. Access onto 5000 acres of crown nature reserve, perfect for walking, cycling and riding. Children welcome from any age. 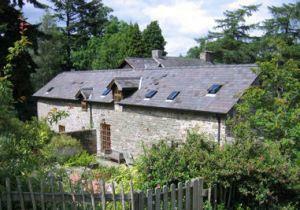 The cottage has been converted from a traditional stone barn. The Brandy House is on a slope and the car parking is on a slope from the cottage. It is however possible to stop right outside the front door and the patio is accessible from the sitting room. The ground floor bedroom which has the wet room is only available when the cottage is booked with 3 bedrooms. Please conctact us to discuss your particular requirements and we will do what we can to help.